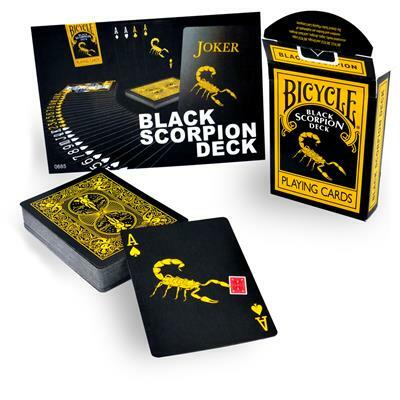 The Black Scorpion Deck is a two toned black and yellow poker deck, the first of it’s kind! This deck features yellow and white pips. Beyond the 52 standard cards, this deck holds ONE JOKER & extra gaff cards sure to take your card work to a whole new level. 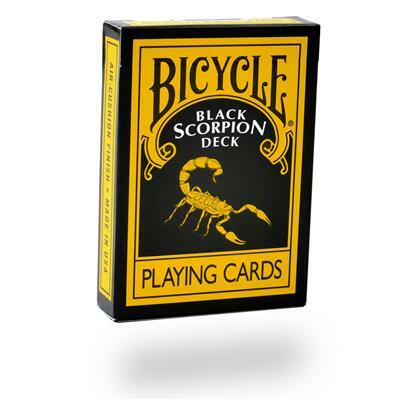 Dazzle your audiences with this incredibly crafted card deck for a very visually stimulating experience.